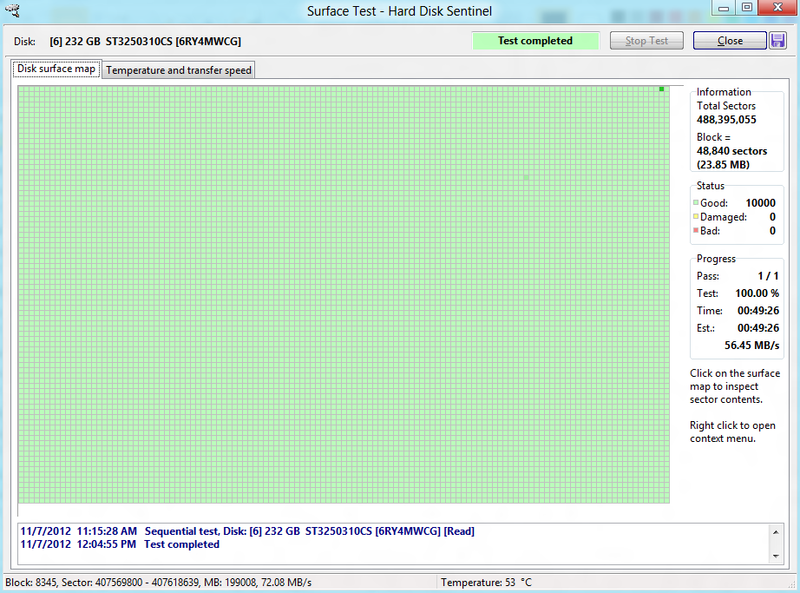 There are weak sectors found on the hard disk surface. 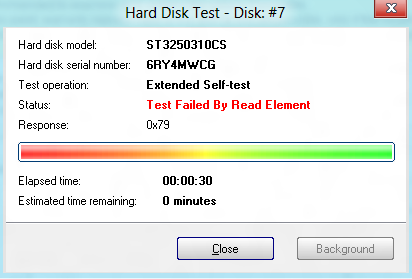 This example shows the status of a Seagate 250 GB SATA hard disk. There are 31 weak sectors found on the disk surface. They may be remapped any time in the later use of the disk. To completely repair weak sectors, it is required to perform the overwrite of the disk surface. 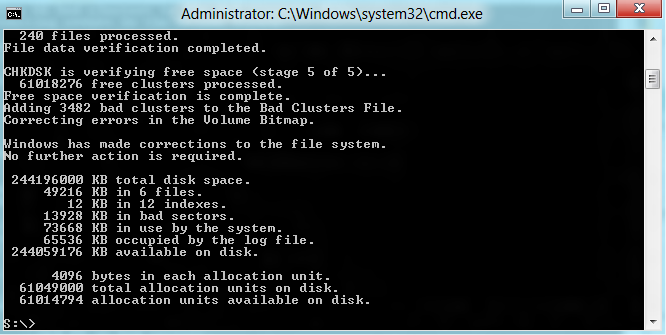 This would ensure that the currently reported and all possible new (currently not detected) weak sectors would be carefully re-tested and the hard disk can perform the required steps: to reallocate the sector (if it can't be re-used and required to replace with a spare sector) or to repair it if the sector can be re-used without problems. The best way is to perform the overwrite with special initialisation patterns to help the hard disk to perform the verification of the underlying weak sectors and test if the sector is usable and works accurately after different overwrite passes and then could be read back without problems. 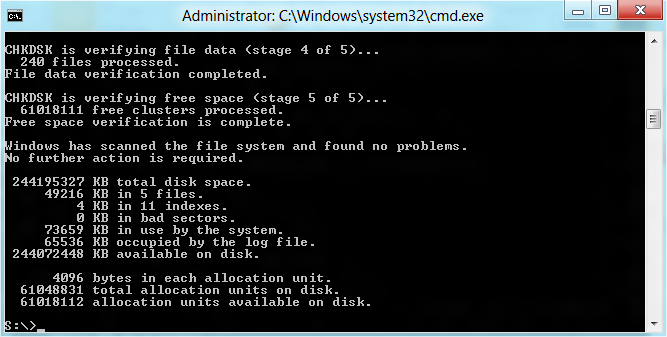 The Disk menu -> Surface test -> Reinitialise disk surface is the best way to repair the hard disk. The test permanently fixes the weak sectors and make the hard disk drive more usable in general. The best way is to prevent weak sectors. When they reported, Hard Disk Sentinel can help to diagnose and repair them, usually they can be completely repaired with Hard Disk Sentinel by using Disk -> Surface test -> Reinitialise disk surface test. 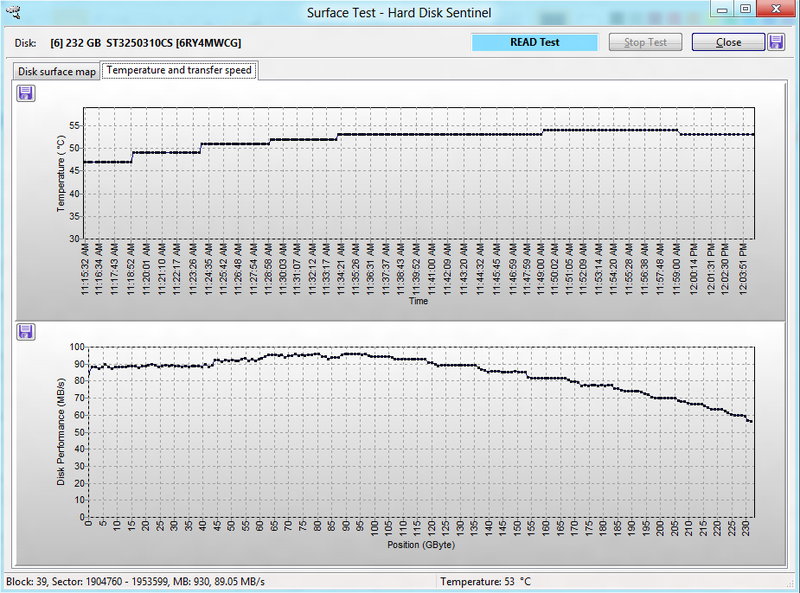 When weak sectors reported, start Disk -> Surface test -> Read test in Hard Disk Sentinel and save the resulting disk surface map before starting Disk -> Surface test -> Reinitialise disk surface test. 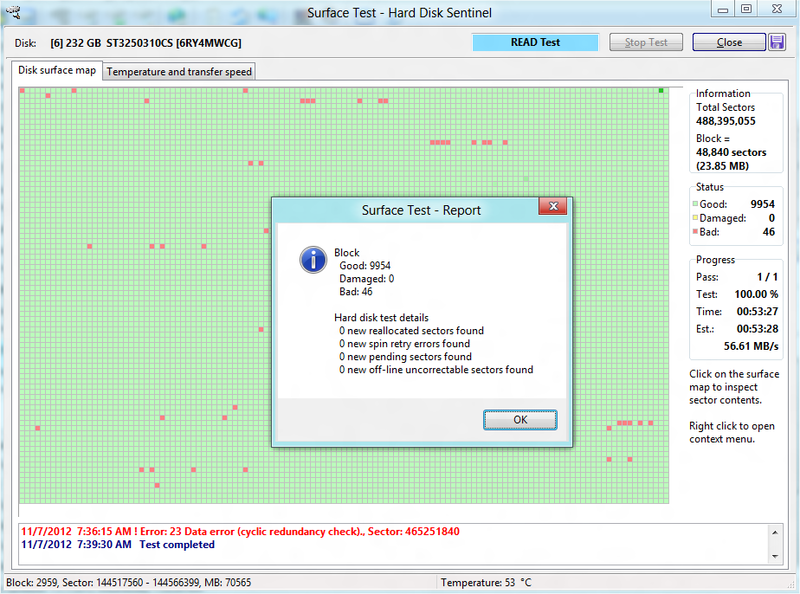 This way after repairing the hard disk drive, if "weak sectors" would be reported again in the future, running Disk -> Surface test -> Read test again would confirm the situation: if the problem is reported in the same block on the hard disk surface area, it may be related to the hard disk itself, but if the issue is reported in other areas (usually random areas as shown in this example), the status may be more related to the operating environment - not the actual hard disk drive. It is good idea to test and repair the hard disk drive in a completely different environment: connecting the hard disk to a different computer where different power supply, hard disk controller, devices, drivers used. Hard Disk Sentinel Pro since 5.00 version has a new function designed exactly to repair such weak sectors on any disk drive (hard disks, SSDs, flash media and so) without the need of complete backup and without performing disk erase. The new Disk menu -> Surface test -> Disk repair test designed to diagnose and attempt to repair easier by performing a read test - and attempting the repair specifically on the affected sectors found problematic during this test. After the test, possible damaged files (located on the original problematic, damaged sectors) listed for reference. Ideally Disk menu -> Surface test -> Disk repair test can help to repair drive completely, especially if the number of problems are relatively low and the hard disk is stable otherwise. In case of bigger problems and/or if weak sectors still reported, it is recommended to perform the above check-list (verify cables, connections, power source etc. 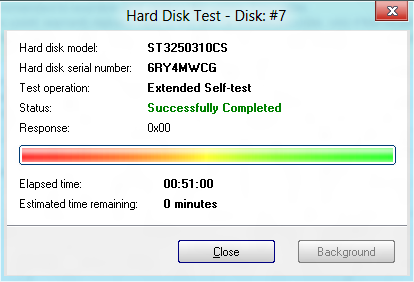 and then re-run the Disk repair function) and if required, consider using the Reinitialise disk surface test too.